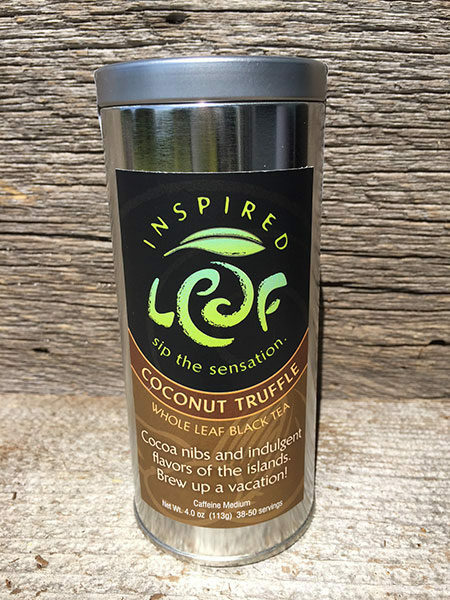 Our Coconut Truffle tea is truly an indulgence. 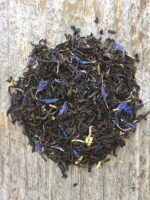 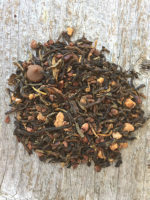 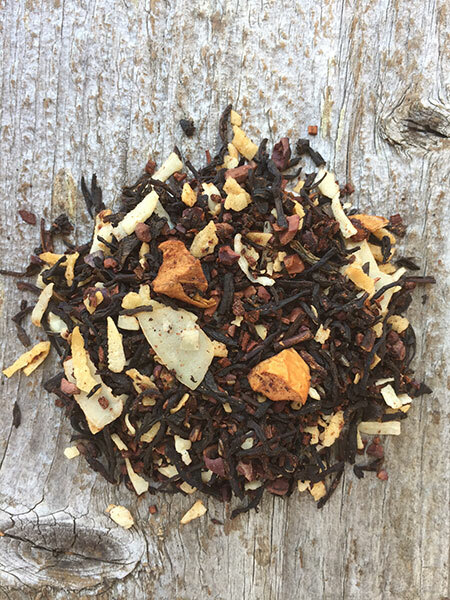 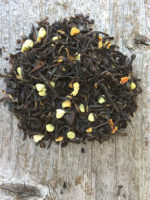 Black teas from Sri Lanka and Taiwan are blended with toasted coconut and cocoa beans, to give you that roasted and toasty coconut flavor. 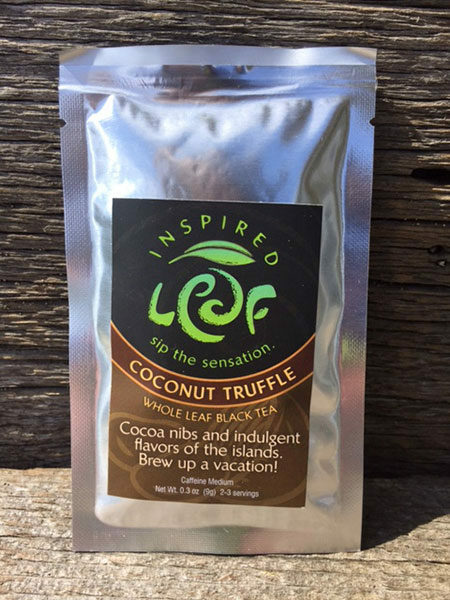 Ingredients: Black Tea, cocoa beans, coconut, organic honeybush, natural flavors, apple (citric acid), chocolate flakes, sea salt, vanilla. 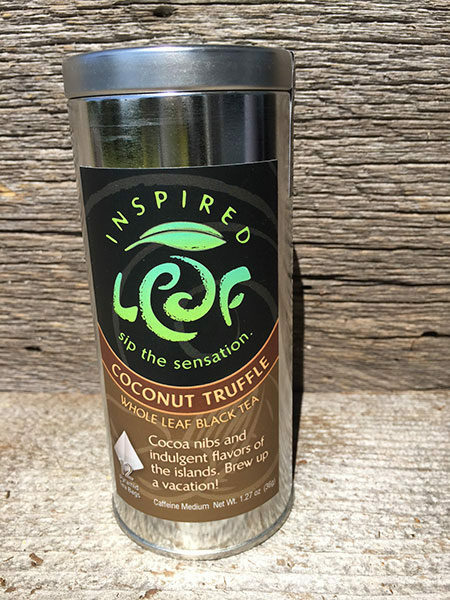 Allergen Notice: Contains coconut and dairy.